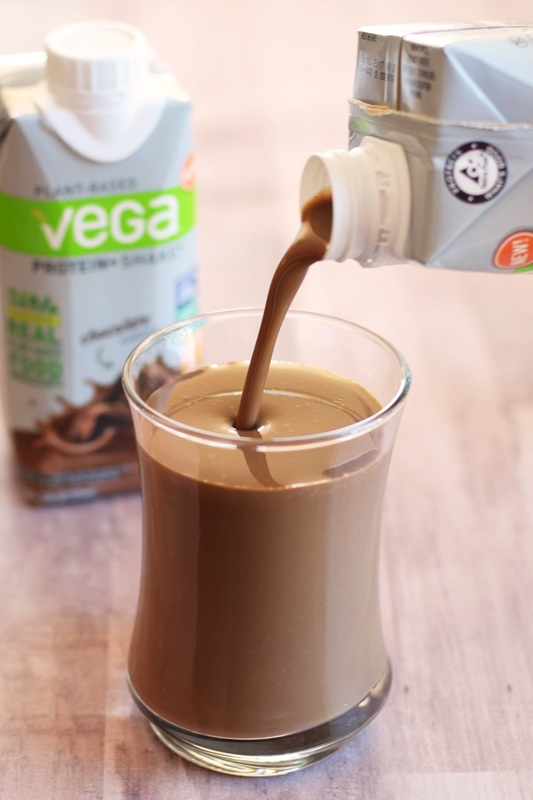 Vega Protein+ Shakes (Review): Ready-to-Drink & Dairy-Free! 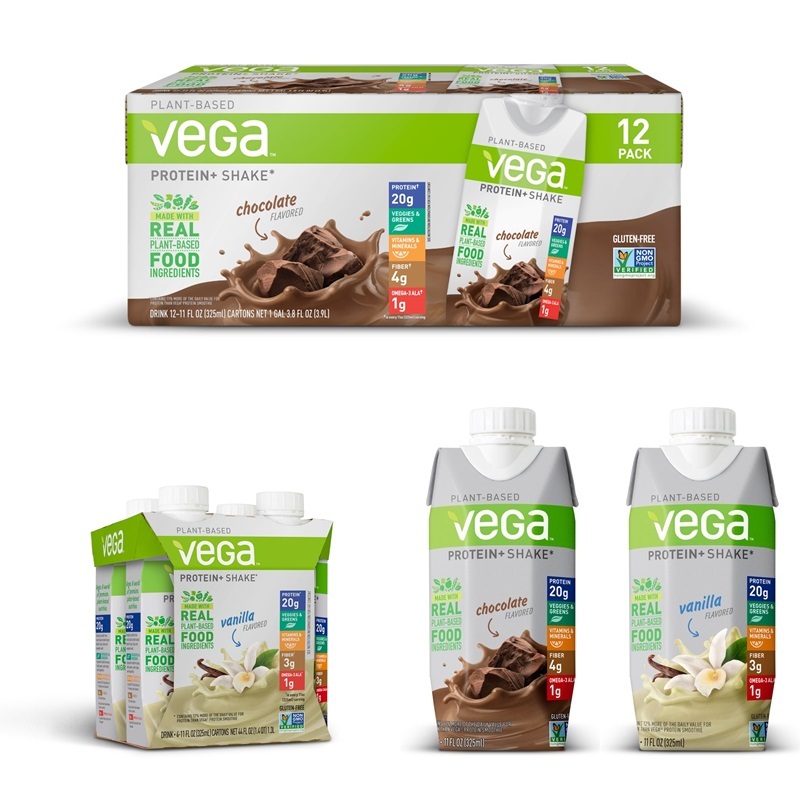 You are at:Home»Product Reviews»Vega Protein+ Shakes: Ready-to-Drink & Dairy-Free! Dairy-free, ready-to-drink, nutritional beverages are a frequent request. And I have a new one to add to the list, Vega Protein+ Shakes! They obviously have many nutritional virtues! However, I would personally classify Vegan Protein+ Shakes as protein shakes rather than meal-replacement shakes. They are quite low calorie (170 per serving) and may not have enough in them to keep you charged and fulfilled for several hours. To note, we trialed the Vega Protein+ Shakes chilled, so I can’t comment on how they taste warm, and completely on-the-go. Vanilla – It had strong hints of vanilla in the scent, but also something else that I couldn’t quite pinpoint. The flavor was less vanilla than I expected, and actually had some caramel coffee-like notes. Tony liked it, since he’s a coffee fan, but I longed for more of that pure vanilla flavor. It was quite drinkable with a slight powdery finish. 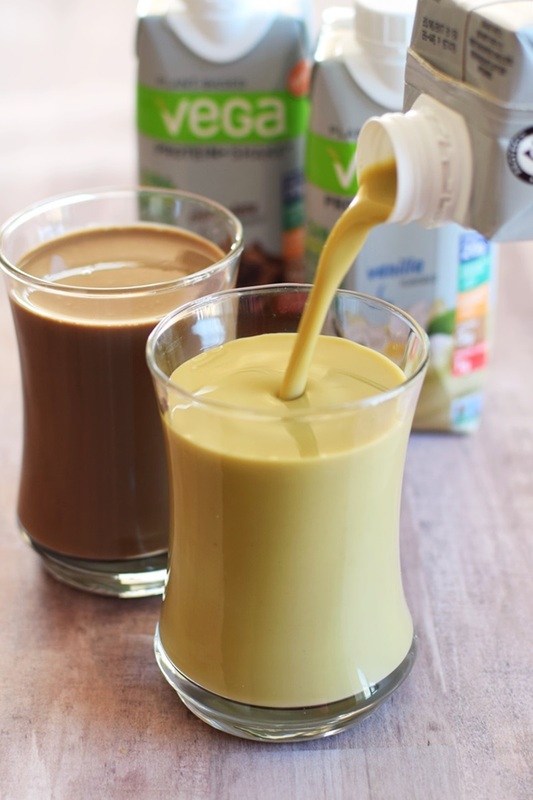 The greenish hue from the pea protein isn’t the most attractive, but if you drink it straight from the container, it won’t be noticed. 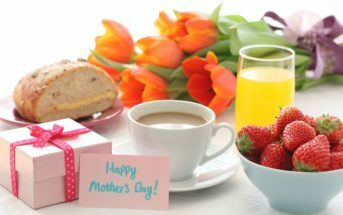 Chocolate – Usually I’m a vanilla girl, but the chocolate was my hands-down favorite. It goes down like rich but refreshing chocolate milk. But the finish does have a slight powdery feel and notable stevia aftertaste to remind you that this is a healthier, lower sugar convenience. That said, if you are a regular stevia user, it may be totally undetectable to your taste buds. Despite the slight protein powder finish, both Vega Protein+ Shakes are smoother than and drinkable high protein blend I could whip up at home. 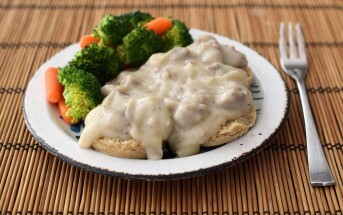 They have a very fluid but creamy consistency that you might liken to flavored 2% or whole milk. 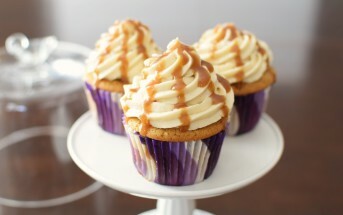 And despite the sweet taste, they contain just 7 grams of sugar per serving! And for convenience, they’re sold in 4-packs and 12-packs. 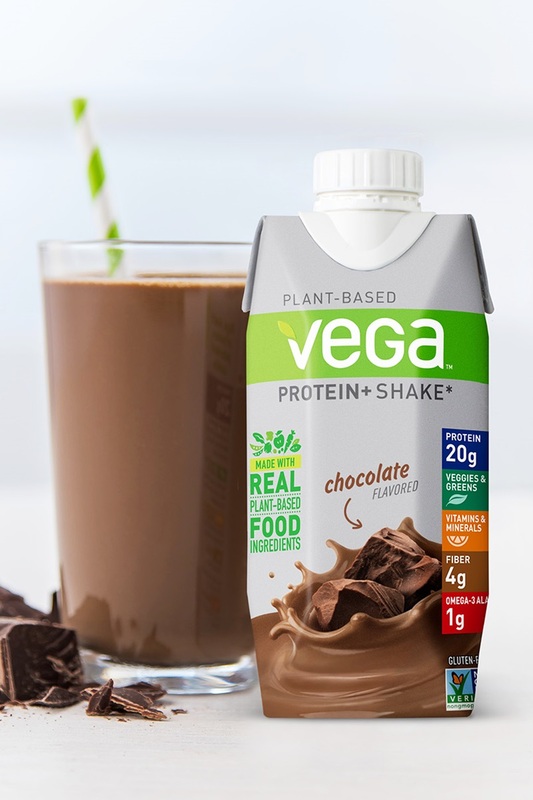 Certifications: Vega Protein+ Shakes are Non-GMO Verified and Certified Vegan. 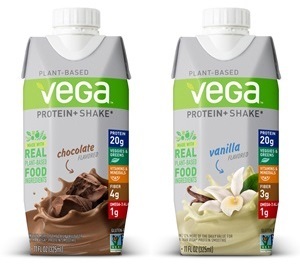 Dietary Notes: By ingredients, Vega Protein+ Shakes are dairy-free / non-dairy, egg-free, gluten-free, nut-free, peanut-free, soy-free, vegan / plant-based, vegetarian. Nonetheless, always read the ingredient statement and check with the company on their manufacturing processes for all varieties if potential allergen cross-contamination is an issue for you. Processes and labeling are subject to change at any time for any company / product. For More Product Information: Visit the Vega website at myvega.com. These ready-to-drink protein shakes are simply loaded with vitamins, mineral, plant-based benefits, and of course, protein. 20 whopping grams per serving, to be exact. I loved their merits and how wonderfully drinkable they are with just a slight powdery finish. In fact, they’re far creamier than any protein powder drinkable blend I could make at home. The Vanilla is a good option for coffee-fans, with flavor notes that are a bit deeper than classic vanilla. The Chocolate offers a wonderful chocolate milk experience, but does have hints of stevia in the aftertaste. I’ve looked all over for the number of vegetable/fruit servings per shake. The powder gives 6 vegetable/fruit servings per drink. But, I cannot find anywhere what the vegetable/fruit serving per ready-to-drink is. Can you help, please? Thank you. I wish we had this in Europe. The US is always ahead of us with great vegan protein shakes. Still on the lookout for the perfect one! Yikes! Perhaps the high protein is getting you? Huh. A quick look on their site showed that for 12 servings of this premade shake it was a good $10 cheaper (!?) than a tub of Vegan one protein powder with the same number of servings….. These have been dangerous for me because I like them more than anticipated, but they are higher in calories than if I just scoop it out of the tub!! Great on the go option! I love my Vega and cannot wait to try this next week at Expo! 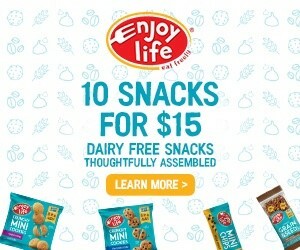 Great for on the go and they’re like an adult milk box. Haha! Oh you are going to be so busy Sarah! I wish I was going this year just to meet you! Vega is one of my favorite plant-based proteins! 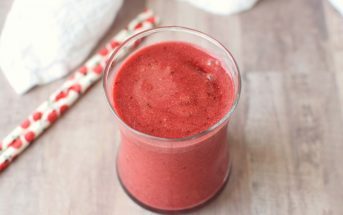 These look perfect to have on hand when you don’t have time to make a shake in the blender in the morning! 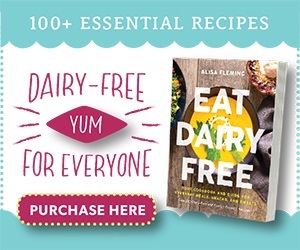 Looks like a great dairy-free option! Look perfect for on the go too! I didn’t even know they had ready-to-use containers like this. Great for on-the-go. The powdery finish might be a bit of a turn off though. I’d definitely prefer the chocolate I think! They’re brand new! JUST released.